In February 2013 the Toronto Star reported that “More than 10,000 Canadians [are] abused annually by fellow nursing home residents”. The resident featured in the article was in a wheelchair and unable to move or speak while being assaulted. In March 2013 the Star reported that a woman was killed and another injured in an attack at a seniors’ residence in Scarborough. 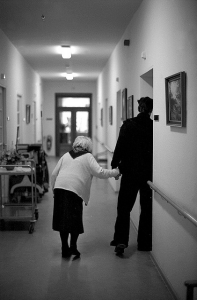 Ontario’s Long-Term Care Homes Act, 2007 includes a Residents’ Bill of Rights, which states that “Every resident has the right to be protected from abuse”. The definition of “abuse” includes physical, sexual, emotional, verbal and financial abuse. Further, there is an entire section in the Act on the Prevention of Abuse and Neglect. It requires homes to protect residents from abuse by anyone. It mandates homes to have a policy to promote zero tolerance of abuse and ensure the policy is complied with. It obliges homes to have a complaints procedure and to investigate any alleged or suspected abuse of a resident. As far as the law goes, the Act is quite clear: elder abuse is not to be tolerated in long-term care homes. But then, how is it that more than 10,000 Canadians are abused by fellow residents? It has been stated that this number represents a low estimate as abuse is often under-reported. And this number may be even higher if it includes abuse by non-residents, such as employees and visitors. Long-term care homes are notoriously understaffed. This has consistently been pointed to as the reason abuse is prevalent in such alarming numbers. One of the challenges for families who have a loved one in a home is: what can they do about it? They are unable to be present at all times and are not likely to install surveillance in the resident’s room and hallways (although this has been raised as an option – but there are significant privacy, legal and ethical concerns, and this may offer only retroactive assistance). We thought it might be helpful to create a list of steps for family members who want to feel empowered in light of these horrifying situations. Please let us know if you have other suggestions and we would be pleased to add them to the list. Volunteer at a home: More eyes on residents would likely mean fewer incidents.Do your research: When shopping around for a long-term care home, ask about resident to staff ratios, supervision and security presence. Pay attention to the physical environment: if a resident called for help, would he or she be heard? Seen? Does the home have a secure area for aggressive residents? Does the home perform criminal record checks on staff?Join a Family Council: Every long-term care home has or can have a Family Council. These councils can, among things, make recommendations to the home.Lobby the government: More funding for homes could mean increased staffing.Consult a lawyer: A lawyer specializing in long-term care can help you understand the home’s obligations and residents’ rights, and negotiate or litigate on your behalf as necessary.Check in: Ask your loved one if he or she feels safe and find out if there are additional steps that could be taken to increase safety.Be a little nosy: If your loved one is sharing a room, get to know the roommate and his or her family and caregivers. Hopefully this will reassure you that the roommate is not a threat and may even look out for your relative. If you suspect the roommate presents a risk, raise your concerns with staff at the home. If you have questions about long-term care, retirement homes or other health law matters, please contact Lisa Feldstein Law Office.